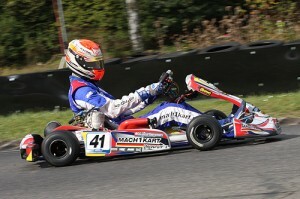 The Mach1 Motorsport team ended the finale of the German Kart Championship with an impressive performance. 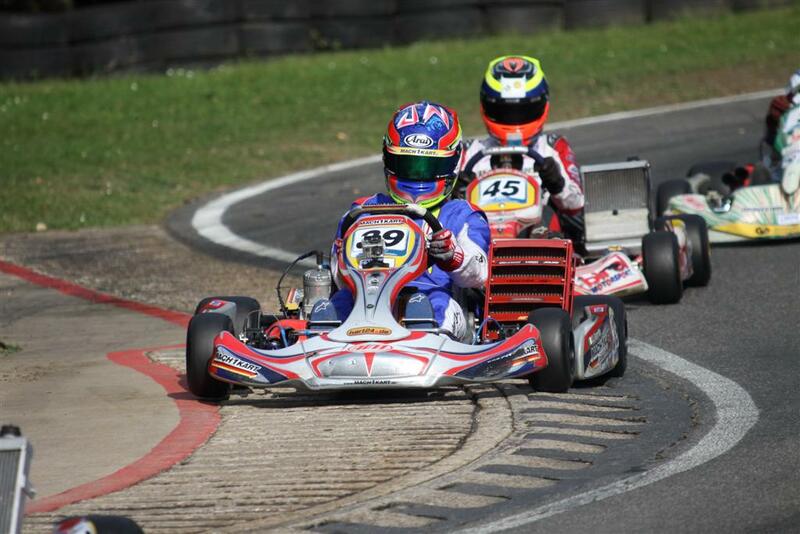 On the Erftlandring in Kerpen, the team established itself in the German kart racing elite’s front field and achieved a placement on the podium due to John Norris. 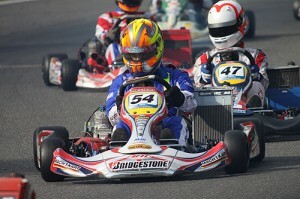 Difficult circumstances awaited the four drivers John Norris, Yannick Flygenring, Martin Mortensen and Lukas Speck. On Saturday, heavy rain temporarily made for impassable conditions on the 1107m track and additionally complicated the choice of the right setup. 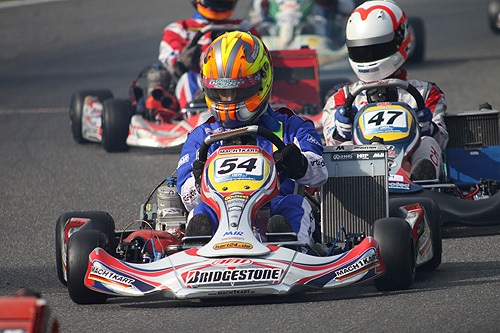 During qualifying, Dane Flygenring showed the best performance and led the quartet on sixth position. Following closely was John Norris on eighth position ahead of Lukas Speck (16th) and Martin Mortensen (25th). Flygenring then continued his successful run during the Heats. Despite a high speed spin-out during one of the Heats, he managed to gain the 4th starting place in the sprint on Sunday morning. The second Dane, Martin Mortensen, delivered an equally impressive performance. In each case, he managed to work his way from the back of the field to 6th place and was thus able to achieve the overall 10th place. Irish John Norris on the other hand had some bad luck. He was thrown back due to a malfunction and only ranked 14th on Saturday evening. Two positions further behind was Lukas Speck, the team’s only German. 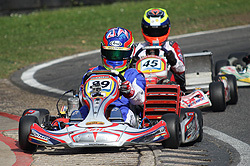 On Sunday morning, the weather had calmed down and the final races of 2011’s season started under best conditions. Fastest driver of the race was John Norris. From the seventh starting row, he fought his way through the top-class field and just barely missed the top three, coming in fourth. His teammate Yannick Flygenring, who was once again able to deliver a great performance, came in just one position behind him. In contrast, Martin Mortensen and Lukas Speck were somewhat stuck in the turmoil of midfield. The duo reached the finish line after 13 laps on 11th and 18th position. During the finals, John Norris was able to up the ante even more. 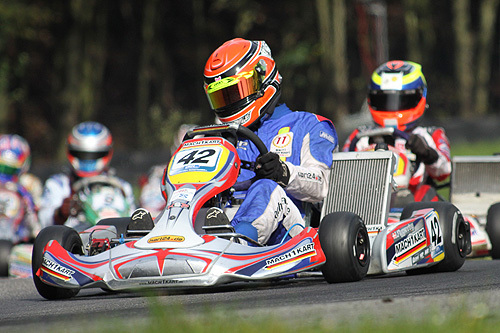 Due to a great run he was able to fight his way up to third position and therefore secured fifth rank in the overall standings. Flygenring on the other hand was hit pretty hard: during the starting phase he had to prematurely forfeit the race due to a crash. Mortensen and Speck made it through their laps without any bigger problems and managed to gain points once again, coming in 10th and 11th respectively. After this thrilling finale, the chassis manufacturer from Swabia will attend the Bridgestone Cup in Lonato, Italy in two weeks. 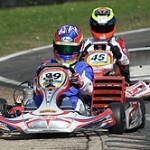 Mach1 Motorsport still has driving positions available. Registration finish for the Bridgestone Cup has been moved to October 16th. Drivers who are interested can therefore still contact Mach1 on short notice.